Whether you are visiting our website for the first time or even if you call Calvary Chapel your home church, we trust our website will serve as a bridge of understanding to the ministry and vision of this fellowship. 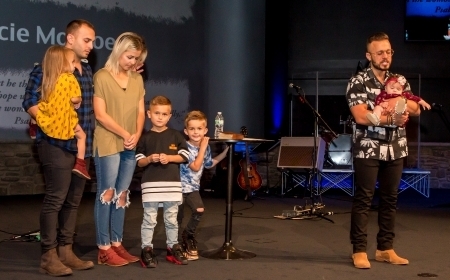 Calvary Chapel Westside began as an outreach home Bible study of Calvary Chapel Finger Lakes, with the encouragement and blessing of Pastor, Bil Gallatin. We were incorporated in 1985 and in 2004, God graciously allowed us to build our current house of worship. It is a blessing to have many wonderful, gifted and anointed people to help tend God's sheep. As we continue to serve Christ our vision is simple, to know Him and to make Him known. We hope that you will prayerfully consider endeavoring in this journey with us.